You set it or they will... and you might not like that !!!! 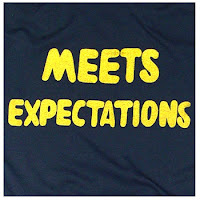 If you do not reset expectations then you will have to deliver upon the unknown or unacceptable, else get on the stand to do some explaining, if not worse. This is applicable in life, living, and livelihood. It is not just about jobs and customers. It is about children, husband, wife, friend, dog, and their friends. If you think you can get away with it then you are wrong. Sooner or later it will catch up with you one way or another. Tell them what they should expect rather than them assuming things and then wonder what kind of a dude or dudett you are !! Aaahhh !!! Easier said than done. If I only had better habits.